The guys in this house LOVE Mexican food, and Beef & Bean Burritos have been a hit here for years. 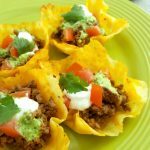 They are pretty easy to make, freeze well, and you can easily add, subtract, or replace ingredients to suit your personal tastes. 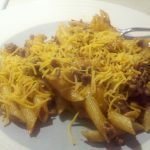 It hadn’t occurred to me to share this particular recipe, because it’s very simplistic and easy, but some friends have asked for it a few times, and I thought that since they were interested, perhaps some of you might be too! To begin, start browning the ground beef. This is probably close to 1.5 pounds, that’s the size package my local grocery store sells. I have RA and problems with my hands sometimes, so when it’s flared, I buy frozen chopped onions so I don’t have to chop. I chop the jalapenos (For milder flavor, toss the ribs and seeds, for spicier, leave them) and saute the onions and jalapenos together with a dab of butter until they are cooked through. Nick likes to add hot sauce to this mix. He uses Louisiana Hot Sauce and Tabasco Sauce, use your discretion with the amount, depending on how spicy you like your food! Brown the ground beef, add in the taco seasoning according to package directions. When it’s ready, toss in the cooked onions and jalapeno mixture and let it simmer for a few minutes. Meanwhile, I spread out the tortillas in the pan and on cutting boards. I divide the beans evenly, spreading across the center of the tortilla, top to bottom. 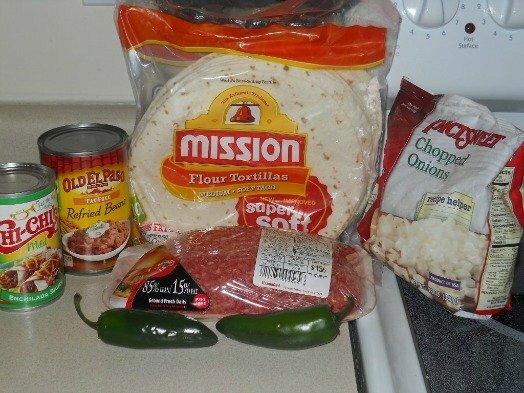 Divide the beef mixture evenly across each tortilla and top with shredded cheese. Fold the top and bottom in, then roll up the sides. I place in my 9×13 dish (spray first with cooking spray!) seam side down. Pour the enchilada mix over the top, and add more shredded cheese. I use about 1 cup of cheese for the inside and add another cup to the top. Saute onion and jalapeno in a dab of butter, add tabasco and louisiana hot sauce, if desired, amount depending on personal preference of heat level. I’ll have to try this. My husband would love it. I love a good burrito for a weeknight meal. Burritos are wonderful to have on hand for breakfast, lunch, dinner or snacks! I never thought of keeping frozen onions on hand and definitely added them to my grocery list. Thanks for sharing a easy peasey healthy recipe! My family loves Mission tortillas and eat them all the time. Now I have an excuse to use them in your great recipe. I plan on varying the recipe a little by adding sliced black olives on top and some diced tomatoes. I like the idea of baking them! We usually just make ours and eat them as is. I like how simple it is. I never thought of adding enchilada sauce. I usually add Rotel tomatoes to my burritos because I like them a little spicy. My kids would love this! I love how easy it is to make. Despite peferring cheddar cheese, I think the kids would prefer queso cheese dip. My favorite Mexican food are burritos!! I love Bean and Beef are my favorites. I do put Green Chili Peppers in mine, since I love that taste with them. A burrito is always my go to dinner when I’m in a hurry, just love all that cheese! The burritos sound very good. I am adding the recipe to my box of easy meals. Thank you for sharing. As much as I love taco bell burritos nothing is better than homemade. 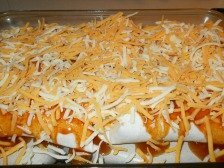 I love burritos more than any other mexican food so this is something I will suredly make. That would make a filling meal with a side salad. 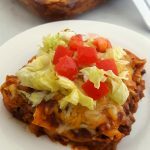 We love trying new Mexican recipes. One of our very favorites is Burritos. Thanks for sharing! Mexican food is my favorite! These look really good. I will have to try these. 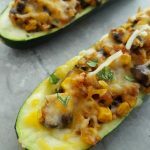 These look so yummy and one recipe the kids would love thanks for sharing this one. 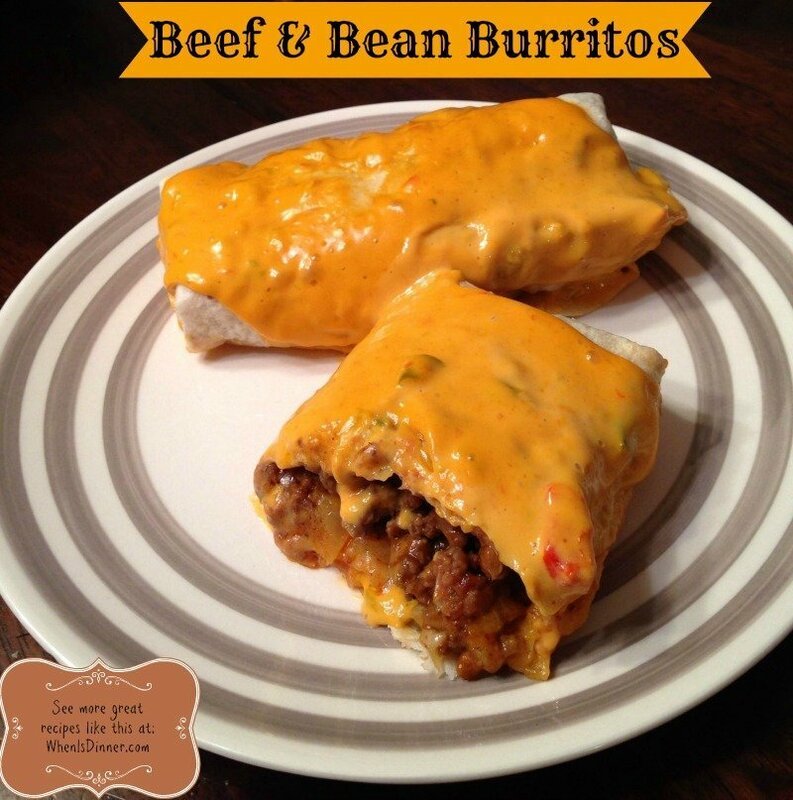 thanks for showing your pictures on how to wrap the burritos….delicious! There is not an ingredient in this recipe that me and my family don’t just love. I am venturing into Mexican cooking so this is a good one for a novice like myself. Thanks for sharing!